Important Notes Please refer to the relevant manuals! This data sheet contains only product-specific data. A detailed description, must-read application notes and general data applicable to this driver family are found in: "Description and Application Manual for 2SB315A SCALE Plug-and-play IGBT Driver". 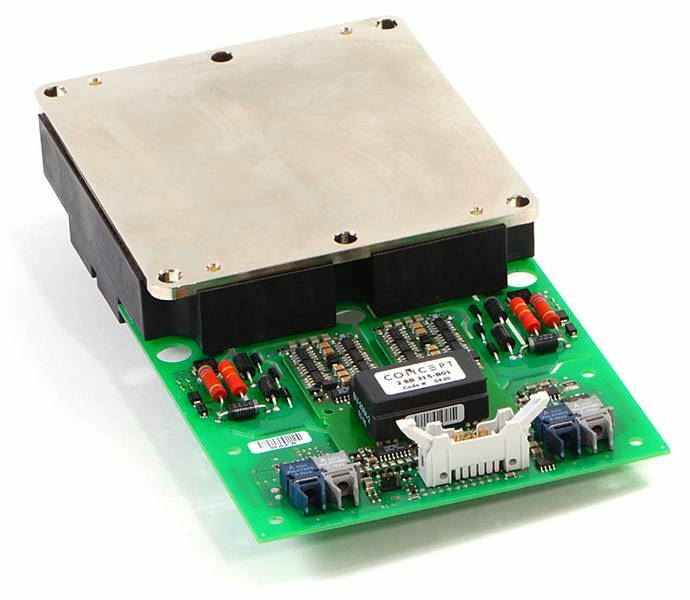 The 2SB315A-5SND0800M170100 is a dual-channel driver with an electrical interface based on CONCEPTS dual SCALE driver 2SD315AI, a proven technology for reliable driving and safe operation of IGBTs. The driver is matched to the 1700 V module 5SND0800M170100 from ABB. Its plug-and- play capability makes it ready to operate immediately after mounting. The user needs invest no effort in designing or adjusting it to a specific application. Mounting principle: Connected to IGBT module with screws.